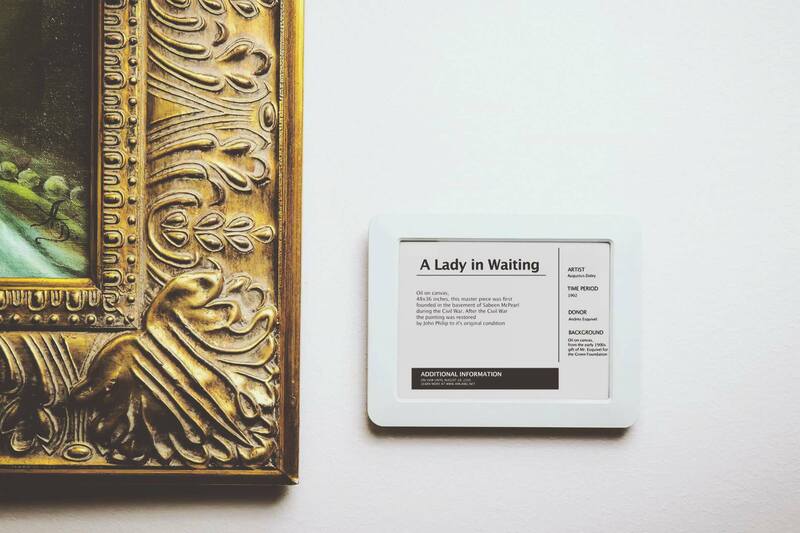 EDITABLE, REAL-TIME MUSEUM DISPLAYS FOR A PERSONALIZED VISITOR EXPERIENCE. Visionect electronic paper products power versatile signage solutions in industries worldwide. Among them are electronic paper museum labels, a digital replacement to existing paper gallery cards. Modernizing and streamlining a museum’s communication, they offer an audience-led visitor experience and are seamlessly integrated into the museum space. 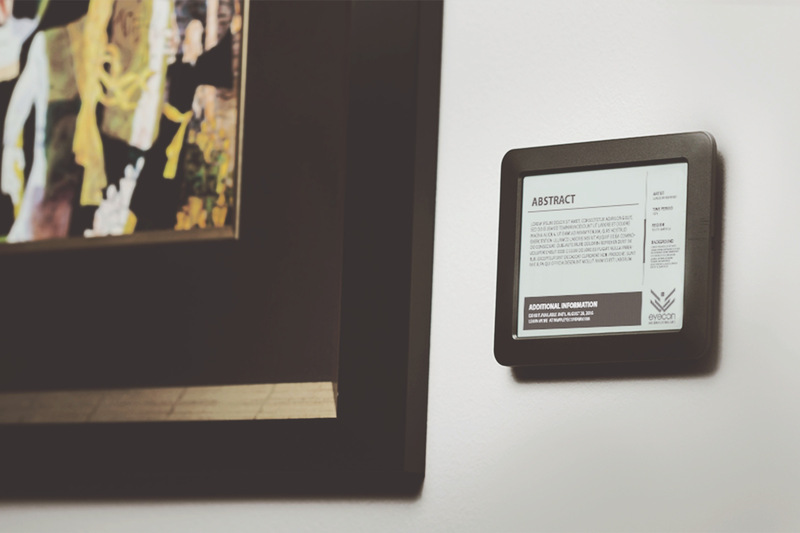 Electronic paper gallery cards are a natural complement to a museum’s infrastructure. Editable, real-time in-gallery displays allow for an interactive, audience-led experience, with choice of font and language, and easily updatable content. This can be as much or as little as the curator desires. 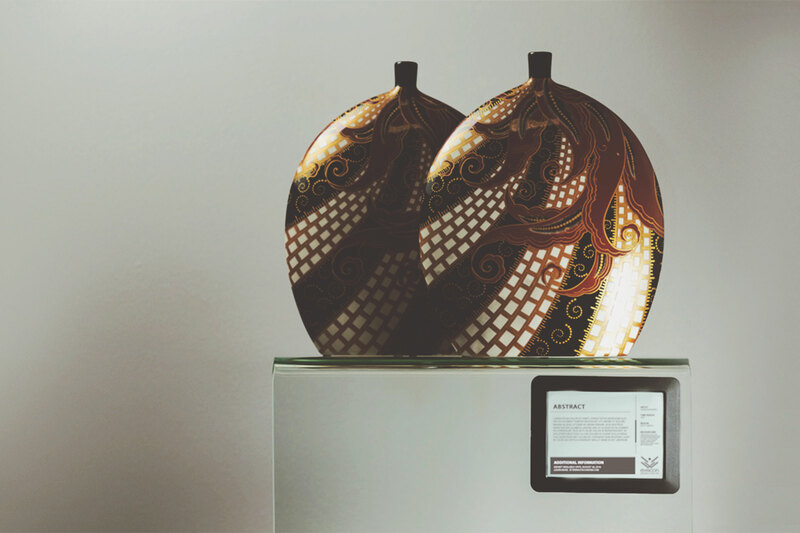 A thin and light display that does not influence the integrity of the gallery space, e-paper digital gallery cards offer extreme savings in printing and reprinting paper labels. Completely cordless for simple installation, with a battery life of months, the displays feature Wi-Fi connectivity and superb readability, mimicking ink on paper without light pollution. 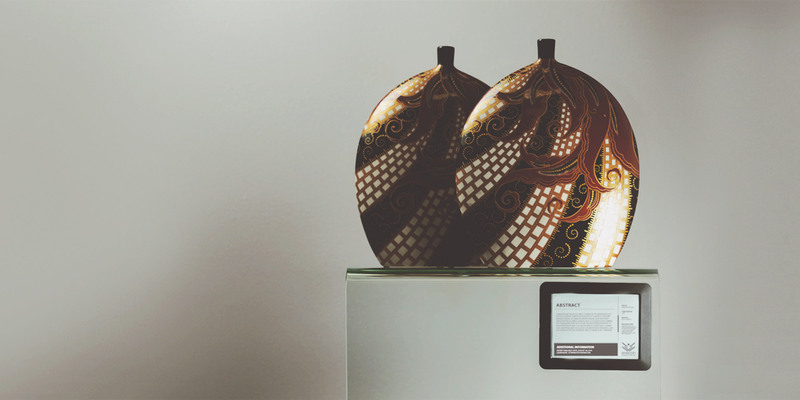 Visionect-powered museum labels represent a perfect fusion of Visionect Signs and Software Suite, designed into gallery cards and displays brought to life by the expertise of our global technology partners. A herald of the electronic paper age about to take over museums across the world. The importance of electronic paper museum labels has not been lost on the industry, writes Digital Signage News. “A fantastic resource for our museum as we get many visitors from other countries!” comments the expert public. Holds as much or as little content as the curator desires. In real time. 99% more efficient than LED. A battery life of months on a single charge. Unaffected by power outages. No blue error screens. Replaces 200+ yearly paper labels printed and reprinted by a museum. Reflects light in the same way as ordinary paper. No glare, no shine. Ultra low power consumption. No cables for a drill-free installation. Little to no effect on the integrity of the gallery space. Lets items on display shine. Complete language and font customization for a superb visitor experience. 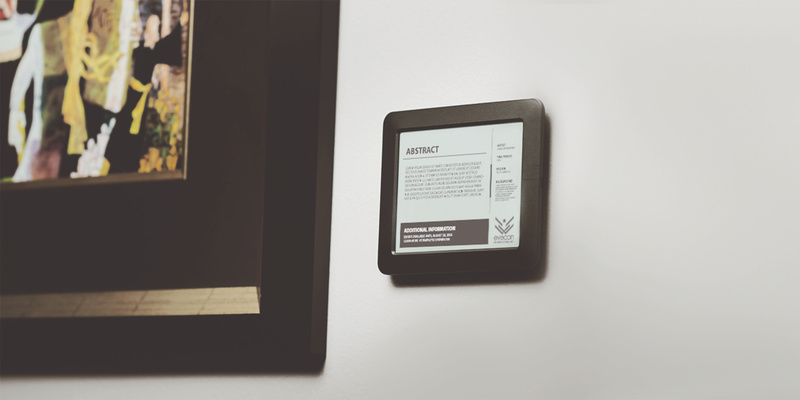 Visionect hardware and software at the heart of the smartest museum label. Developed especially for electronic paper signage. Avoid shrinking attendance rates and the costs of printing paper labels. Language and font flexibility without overpowering your exhibit. Offer a solution that fits. 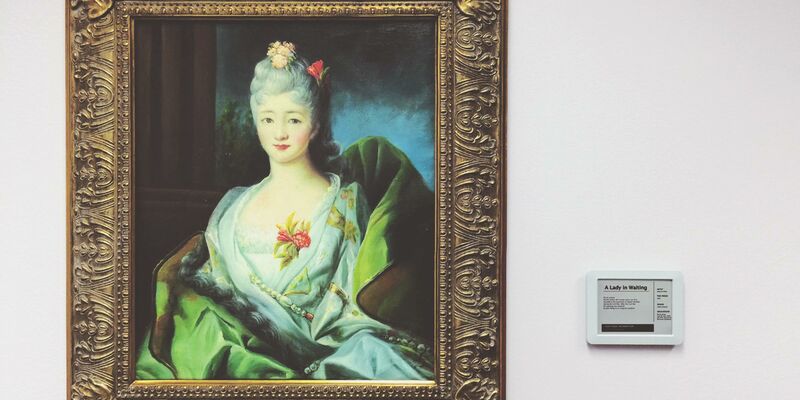 Reach the full potential of the museum with a unique Internet of Things ecosystem of digital displays. Help build the new era of museum interactivity. Join your vision with cutting edge signage technology powered by Visionect. 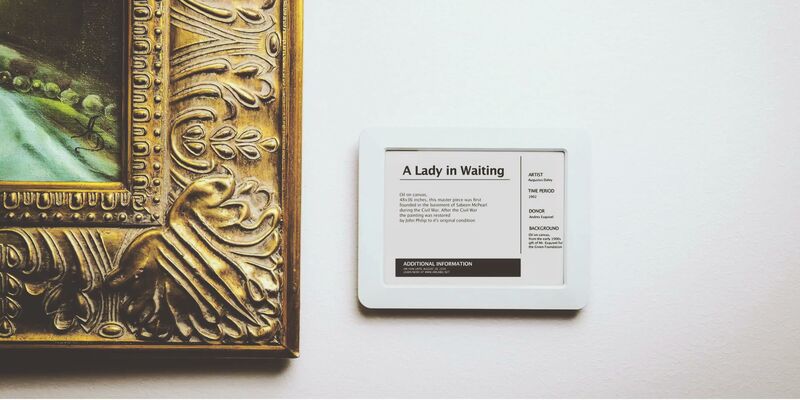 Learn more about e-paper museum labels, Powered by Visionect.